Affordable density measurement technology IDSm of grapho metronic and InkZone Inline: The perfect bundle for successful retrofitting of web offset presses. With more than 3000 offset press connections worldwide of InkZone, their internationally renown, JDF-based preset and closed-loop color control system, Digital Information will be unveiling improvements to its existing InkZone Ink Key Preset and Closed Loop solutions, the DJet, and SpectroPocket for Android at Graph Expo 2016. Digital Information will celebrate the launch of InkZone Inline at Graph Expo 2016 in booth 2279 on September 25 to 28, 2016 at the Orange County Convention Center in Orlando, FL. InkZone Inline measures color bars on the paper web during the print run and continuously controls the offset press ink keys. The combination of digital InkZone ink key presets and InkZone Inline color control is significant, bringing to nearly all web offset presses a striking reduction in paper waste and makeready time. Simultaneously, InkZone Inline helps users to achieve perfect color consistency throughout the complete printing process. InkZone Inline was developed in close collaboration with grapho metronic, the renowned German manufacturer of color measuring technology. InkZone Inline is available as a cost-optimized density measurement system (model IDSm), as well as a solution for spectral measurements according to ISO 12647-2/M1 (model ISS). 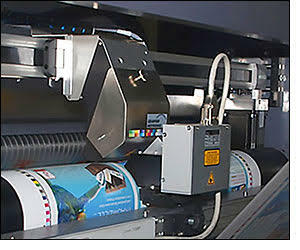 InkZone Inline is perfectly suited for retrofitting any web press or to replace outdated color measurement technology. 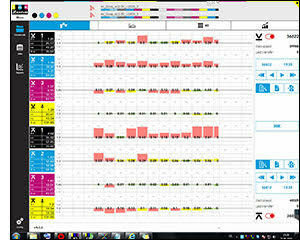 The brand new InkZone inline software package with informative and modern user interface for efficient web press control. Also being demonstrated in booth 2279 at Graph Expo 2016, the Djet is a digital front/back printing system up to 43 inches wide (1076 millimeters). The system operates from roll to cut sheet and is suitable for impostion proof printing and small print runs in paper formats up to B0. At Graphexpo this year, Digital Information will be demonstrating the Djet with up to date printers from Epson. Rounding out Digital Information’s solutions at Graph Expo 2016, the SpectroPocket for Android is the world’s first smart phone system for measuring individual color patches on a wide variety of substrates. SpectroPocket works with commercially available spectrophotometers. The measurement data can be displayed on mobile Android devices such as smartphones or tablets as spectral reflectance values, graphs, LAB, XYZ and RGB values, as well as densities. Color differences are visualized by SpectroPocket as Delta E or Delta H value. Visit Digital Information and CMYK Distributors at Graph Expo 2016, Orlando/USA, September 25 to 28, Booth 2279. Digital Information is on the cutting edge as developers of technology that drives the international industry. We understand the need for constant innovation and the importance of staying connected with our customers. At Digital Information, we are more than just technology developers. We are partners in business, providing customers with best-in-class, tailor-made solutions that meet their needs, when they need them.